DUBLIN – Renee O’Neal from Portsmouth Wendy’s franchise Schmidt Family Restaurant Group has been recognized as Top General Manager in its global restaurant system for 2017. O’Neal is one of 200 outstanding GMs who were recognized recently at the Wendy’s Restaurant Support Center for their leadership, performance, dedication and continuing service to the Wendy’s brand. Two other GMs from Schmidt Family Restaurant Group were recognized in the Top 20. Connie Kohler, GM from Waverly, and Brittney Tennison from Ashland, Ky., were both given Top 20 awards. “Being invited to the Top 200 GM is a distinction only 3% of Wendy’s general managers get, so for us to have three in the Top 20, with one being the number one general manager in the entire Wendy’s World, is just phenomenal,” says franchisee Justin “Juice” Schmidt. “Being able to surprise Renee at that awards ceremony and present her as number one was such an honor and surreal moment. “Renee, Connie and Brittney are not only fantastic general managers, but fantastic women and great representatives of Wendy’s and Schmidt Family Restaurant Group. 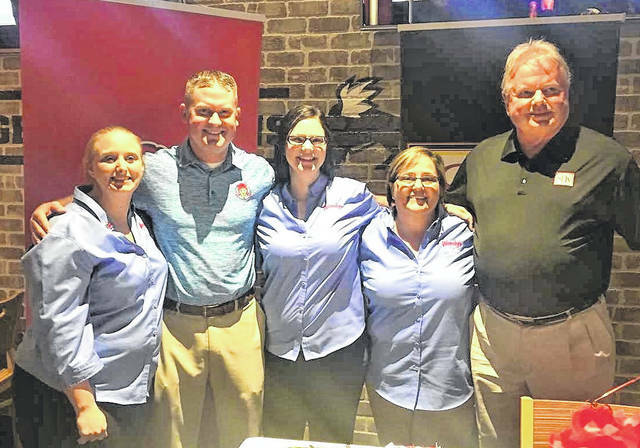 These three women are so deserving, and I’m happy for our entire organization that supports our restaurant teams, from our operations team, maintenance department, and entire office and field support teams,” Schmidt says. The Wendy’s system is 95 percent franchise-owned and operated, and GMs from the entire Wendy’s global network of more than 6,600 restaurants were evaluated against set criteria, such as customer satisfaction scores and customer count growth. A total of 530 GMs met the initial criteria, and the Top 200 were selected by a committee comprised of franchisee and company leadership. The Top 200 represent 175 GMs from the United States, 15 GMs from Canada, and 10 GMs from other international restaurant locations. The average tenure of the Wendy’s Top 200 GMs is 15 years, and more than 50 have been with the brand for 20 years. With GMs from 29 different countries – from the Bahamas to Venezuela – making up the Top 200, these individuals are a testament to the opportunities available at Wendy’s and in the restaurant industry, where people can gain important skills and advance through their own hard work, initiative and abilities.